My ‘real’ story is the one where my world shattered into a million pieces 3 months after graduating from college. The story that made me who I am today. The grief, the loss, the deep and dark trenches of sadness, and the long and slow process of healing. The journey of taking my reality, and turning it into something positive. Early in my nutrition career, a woman named Lindsay came into my office. I supported her through our first session together, made some lifestlye and wellness adjustments and upgrades and sent her on her way. Two weeks later I opened my office door to meet my next client in line, and I introduced myself to this new woman I had never met before. “Hi, my name is Emily, welcome.” She replied, “Hi… I’m Lindsey. I was here with you 2 weeks ago.” That gives you an idea of the transformation Lindsey began as I didn’t even recognize her. Her eyes weren’t puffy, they were vibrant and bright, her skin tone was different, she just looked like a totally different woman! This transformation has continued and Lindsey is now a thriving nutritionist herself helping, supporting others and changing lives on a daily basis. She asked me if she could interview me to discuss more in-depth my healing process, and how I turned the worst possible reality into a place of growth and wellness. You can read her blog post and interview below! If you think about it we all probably could name at least one person in our life who has impacted us in such a way that they’ve actually changed our course of direction. Some people will say it’s their spouse or maybe even their children, and while there is no doubt these people have the power to change our lives, I want to talk today about the people outside our close circle of family and friends? The people who you may least expect, or who you certainly weren’t planning on. My “person” who became “my game changer” and who I want to introduce you to today is, Emily Potter. Emily was my first nutritionist years ago (yes, even I have my own nutritionist) and while Emily helped me to completely change my health by showing me a totally new and mindful way of living, what I really ended up getting from Emily stretched so much further beyond the food. Emily taught me a very valuable lesson that no matter how difficult, challenging, or painful our past is – we all have the power to use our stories as a source of strength and guidance. Emily taught me this, by showing me this. You see in the summer of 2005, Emily had just graduated from the University of Idaho and had decided to chase her dreams of becoming a professional dancer and so she packed up her point shoes and moved to New York City. Emily had been in NYC for only two months when the unimaginable happened… it was the same day as her first professional audition when she received a tragic phone call from her mom. Emily’s father and two brothers were flying a private airplane to a family reunion in Idaho when their plane crashed. There were no survivors. When I first heard Emily’s story I almost couldn’t believe it. Up until that point I knew people in my life, including myself, who had experienced tragedy, pain, loss and suffering but Emily’s story was on such a different level then I had ever experienced before. What was perhaps even more shocking to me though was that when I met Emily, which was only about 5 years after the accident, the level of strength, compassion and clarity she was living her life at was incredible. She wasn’t broken, sad or depressed. She was thriving and I wanted to know how. As I got closer to her and began to really know her, I also began to really understand the how. And that how, I believe, is her greatest lesson and it’s a lesson that has inspired me to this day. Just recently I reached out to Emily and asked her if she’d be willing to share her story and journey with you all in the hopes that you may be as impacted and inspired as I was. I am beyond thrilled that she said, yes. What got you through those first few moments/days/weeks after learning the news about your dad and brothers? What was your “first” turning point? What did you do with that epiphany? “After the class was done I went to the teacher and said, ‘I want to be a yoga teacher, how do I do it?’ She told me there was a yoga training that weekend and I could go and take my first level and learn. So, I went to this training where everyone knows yoga, everyone does yoga and here I was. I didn’t know what warrior was, I didn’t know what down dog was, I didn’t know any of these things. But it was during this training that I experienced my next shift. While I was immersed in this classes, I was meeting peers and students that were much more of the wellness realm. They were mindful not only about moving their bodies, but also about eating well and being well and I found it to be just an amazing way to live your life. How did meditation help you through this time in your life? “I ended up taking a 2-year course in meditation from the Berkeley Psychic Institute which was rooted in clairvoyant training. I was on this mission where I really needed to connect with my dad and brothers and I didn’t know what that meant. I didn’t know if it was even possible but I needed to know that they were still somewhere. When you lose people you love it really bumps up against your belief systems and makes you question what really does happen? Is there a heaven? Is there a God? The meditation for me was really a healing, grounding tool to use that allowed me to get clear enough so I could connect. I remember very, very specifically doing a couple readings during these trainings where I could feel my dad and my brother’s presence and I just knew they were there. The veil was thin and I could feel them, I could sense them and I knew they were still there impacting and influencing my life greatly, it was just in a different way. When I got to that point, and that was about 2 years after the crash, that was when my breakthrough happened. “People can absolutely experience profound shifts without having to go through that kind of profound loss. That is one thing I have learned in grieving and unfortunately in being an expert in loss and grieving, it’s that there is this spectrum of pain. No matter what your loss is, pain is pain. It’s the same emotion. We feel hurt, we feel heartbreak, we feel like our earth is shattering and I felt like in the first few years after losing my guys, nothing could compare to it. It wasn’t until a yoga class where a friend helped me realize it was ok that it was big. It’s ok that it’s that enormous because that gives me kind of this cool superpower to relate to the whole spectrum of pain. I hope that in my silver lining it gives me this kind of ultra-super compassion and understanding of loss and grief and sadness and sorrow. What was the secret for you in turning your story into your strength? “For me it was getting quiet enough and still enough to listen to my intuition. It was slowing down the chaos in my mind and just listening. Throughout this journey, each time I’ve been able to make a shift, or make progress towards a new way of being, I was able to slow myself down enough to where I could really listen to my intuition and I could begin to ask myself – What do I want? What do I really need? How do you get your clients to that level of stillness where they can tap into their own intuition? The goal is to do whatever it takes to be grateful. Gratitude is the highest energetic vibration a human being can attain so if you can get there within the first 10 seconds of your day, it’s gotta be a pretty good day. From 10 seconds, if they are still present, I’ll have them upgrade to 20 seconds. Then I might ask them for the first 2 minutes of their morning – put your feet on the ground, close your eyes and connect with yourself. Maybe take a few deep breaths. Turn that into 5 minutes. – do a meditation or a 5-minute yoga practice. The goal would be to build up to 10 minutes within one month. “The ultimate goal is to walk through your entire day with mindfulness, ease, grace and space between all the different activities in your life. Of course, that doesn’t always happen and that certainly doesn’t happen in my world with a 2-year-old and a 4-year-old, but that is the goal. I’ve known Emily now for more than 6 years and of the many lessons’s I’ve learned from her, probably the most impactful has been this – We will all experience loss in our lives and because of that we will all experience a tremendous amount of pain – just like breathing, this is something we share in common and it something that unites us. Sometimes loss is felt through losing a loved one, but other times, loss may come through losing a job, a relationship, or maybe even a dream. And because of that we’ll feel varying degrees and levels of hurt, heartbreak and we may even feel like our earth is shattering around us. But this isn’t necessarily a bad thing and it might not even be the purpose. If you think about it, it’s through loss that new information can show up. Loss doesn’t have to be the end of your story, and as cliche as it sounds, it can be your beginning. By learning how to slow down and just breathe, the pain we experience through loss also has the potential to bring us a great deal of answers and purpose. Years ago, when Emily was first telling me about her story she said something that really affected me. She said that in that moment when her dad and her brothers were stripped from her, so was so much of her identity. Before that she had always defined herself as a sister, as a daddy’s girl, as someone who was a part of this family of 5, but in losing these people in her life she also lost that identity. Anytime we lose something it’s natural to feel like we’re losing a piece of ourselves. We lose a job, we go through a divorce, we get sick – we lose these titles that we attached to ourselves, or titles we think we’re supposed to have – lawyer, wife, healthy, etc. and therefore it’s easy to feel like our identity has changed or somehow we’re less than we’re supposed to be. But it’s not the ‘titles’ that define us. Being a husband, an accountant, a daughter or a daddy’s girl doesn’t make us who we are. Who we are at our core and who we really are as a person is what truly matters and although some of us will spend a lifetime trying to figure this out, it’s THAT that can never be taken from us. Emily has her own practice, NourishMint Wellness where she see’s clients all over the world. She is most excited about her brand-new program she just launched called “Your 40 Weeks of Your Healthy Pregnancy.” This is such an innovative program for anyone who’s pregnant or looking to become pregnant and wants to have a best friend and nutritionist in their back pocket for the journey. During Emily’s second pregnancy with her daughter, Scarlett, she filmed 5-minute videos every week about what she was doing, what she was eating, what supplements she was taking, what she was reading, and anything else you can imagine wanting to know through the lens of a holistic mom and clinical nutritionist. She then put those videos together in a series along with a comprehensive e-book so that you can follow along with her experience and get really great encouragement and advice along the way. Because Emily tends to lean on the more holistic and natural side of things, she gives you all kinds of ideas and inspiration on how to have a natural pregnancy. Emily has had two natural births with zero intervention and as an outsider, I can tell you, I knew Emily through both of her pregnancies and it was amazing to watch her journey through each one with so much ease and grace. Emily has been so kind to offer to the RHN community $20 off the cost of the program. All you have to do is enter the code “realhealing20off” during checkout. 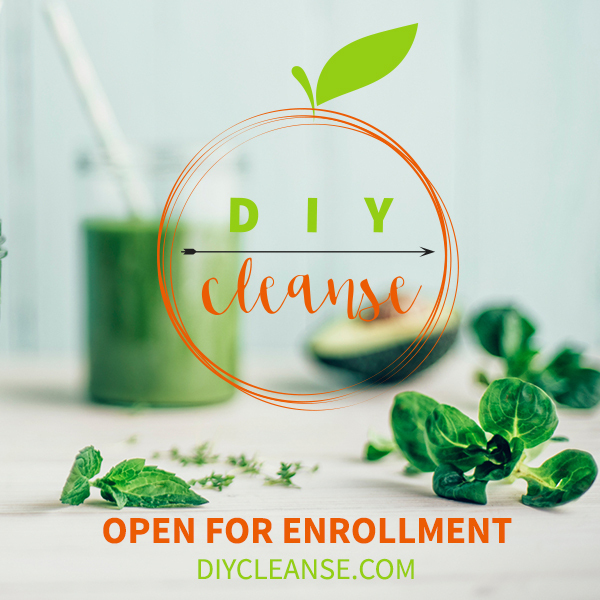 Another project, which is ongoing for Emily, is her DIYCleanse, which is a 7-day cleanse for people who hate cleansing. Anyone can do this cleanse and be successful. It incorporates food, juice and smoothies so it’s a cleanse that most people can do without getting too hungry or without having to disrupt your entire world. It’s a wonderful way to detox the body and boost your energy. In fact, for the 1000s of individuals who have participated in her program, most will say they finished feeling super charged and super energized! To read more from my conversation with Emily you can click here.